The International Students Association ID Card™ is an internationally recognized identification and discount card available to students of any age, faculty members, and youths between the ages of 12 and 28 years. The ISA Card opens the door to a world of savings. ISA Cardholders are able to enjoy discounts in a variety of countries throughout the world including, but not limited to, the United States, Canada, Australia, Europe, South America, and Asia. These discounts are either negotiated directly and exclusively between the establishments and ISA, or they are offered to ISA cardholders automatically as a result of the ISA Card's status as an internationally recognized identification card. ISA discounts tend to range from 10% to 50% off at museums, castles, hotels, restaurants, shops, language schools, theaters, concerts, operas, cinemas, recreational facilities, rentals (auto, motorcycle, and bicycle), bus routes, boat routes, railroads, and selected airlines. UNICEF: Because of UNICEF’s mission to help children and their families and their worldwide presence, ISA Card donates US$5.00 per card to UNICEF and other welfare organizations. United Nations Association: ISA works closely with United Nations Association to educate students about the work of the United Nations and encourage strong support for United Nations. Meridian High School has partnered with ISA Card to offer our graduates an international student card that offers attractive advantages and the chance to support the school. 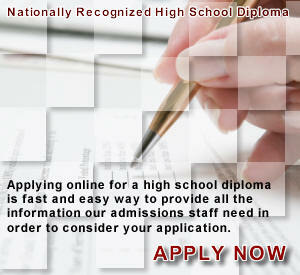 Meridian High School stands among the selected few schools, which offers debit cards to its students. Meridian High School offers VISA Card® Prepaid Debit Card that provides peerless benefits, service, worldwide acceptance and convenience. This card is an excellent financial tool that is re-loadable. A portion of every purchase made with this card goes to support alumni and student projects on campus and around the world. In the short span of its inception, the school has taken a bold step by setting up its own Internet Service Provider, in order to provide a more reliable and economical internet services for its students. 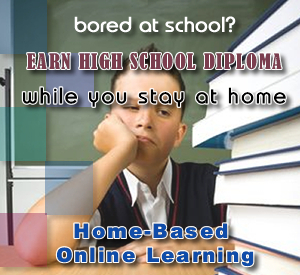 Meridian Online ISP; a fully owned subsidiary of Meridian High School, is the most economical, reliable way of connecting to the Internet. Utilizing four of the biggest networks of the nation, we have combined the Qwest, Aleron, Starnet, UUnet and others. We have contracted through vendors such as Elect0072ic Lightwave, O1 Communications and WorldNet to purchase ports in many cities nationwide. These numbers we add to all the networks locations lists for additional redundancy nationwide. By having these additional numbers, we can offer you an additional choice so that you can choose the number that is the fastest. 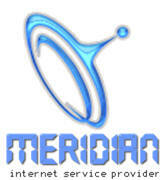 Meridian Dial Direct; a fully owned subsidiary of Meridian High School, is dedicated to providing high quality internet phone calls for very low prices. We use the very latest technology in our web dialer and utilize high quality voice network to ensure our students get the best service available. Our call prices are cheaper than others and we charge per second, meaning you pay for the exact length of your call, nothing more! We don't round up calls to the nearest minute, like many of our competitors.